53 Athletes Representing Alberta at the 2018 National Championships! Rope Skipping Alberta congratulates all of the athletes who competed at the 2018 Alberta Rope Skipping Championships. The competition was inspiring in both the level of competition and the spirit of the competitors, coaches, and officials. A special thank you is extended to the Camrose Spirals for warmly welcoming everyone to their community. Want to re-live your favourite moments? John Borden captured many wonderful moments and has shared his photographs with us. His photographs can be viewed here . Thank you, John! 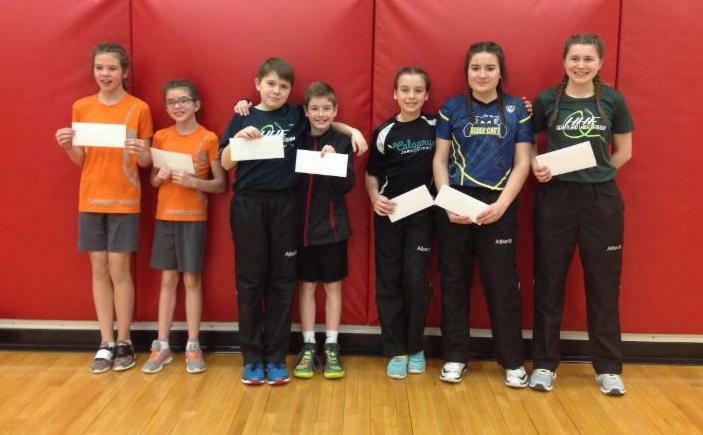 Rope Skipping Alberta has received a Canada Summer Jobs grant to hire a student to assist with the organization of the 2019 Rope Skipping Canada National Championships! 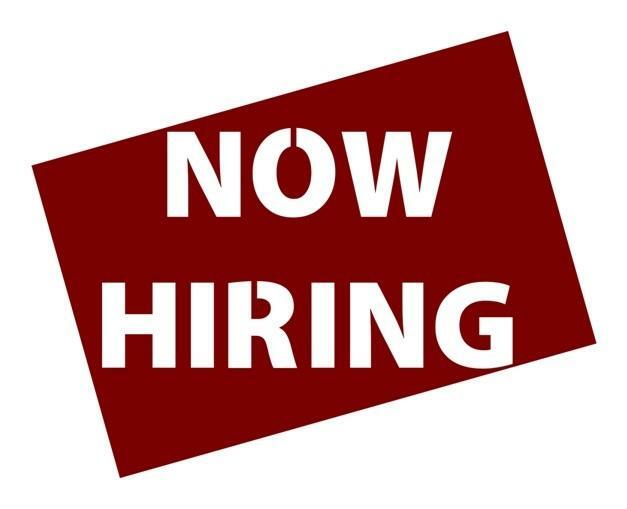 The position of National Championships Coordinator is open to all students who are 15 to 30 years of age and meet the Canada Summer Jobs eligibility criteria. Athletes and coaches who meet the criteria are encouraged to apply for this position! Click here to access the job posting. The application deadline is May 11, 2018. At the 2018 Annual General Meeting, Rope Skipping Alberta transitioned to its new Bylaws . A component of this transition was the election of a new Board of Directors. 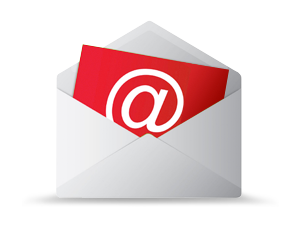 The Board of Directors can be contacted at ropeskippingalberta.board@gmail.com . Special appreciation is extended to Ilona Reef and Olivia Beaudreau who retired from the Board of Directors following the end of their terms. Thank you for all of your contributions! Click to read Rope Skipping Alberta's 2018 Annual Report . At the 2018 Alberta Rope Skipping Championships, Rope Skipping Alberta became the first rope skipping organization to officially adopt True Sport Principles . 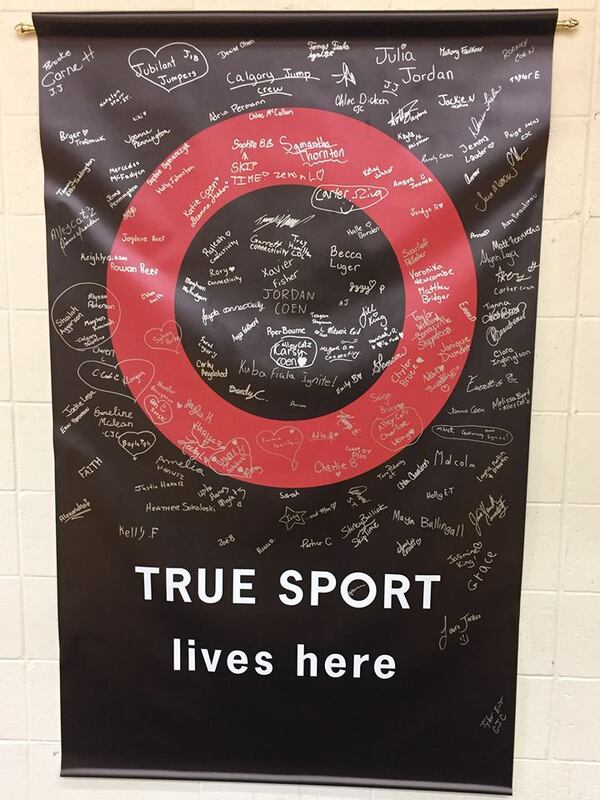 Athletes, coaches, judges, parents, volunteers and spectators were invited to sign the True Sport banner to show their own commitment to the True Sport Principles. True Sport Principles in action could be seen at the competition. One principle is "Respect Others" and includes, "Win with grace, lose with dignity". This was personified through the actions of Jordan Coen of the Alleycatz. A strong and usually consistent competitor, Jordan struggled in the consecutive double unders event. Before even leaving the competition floor, Jordan could be seen extending genuine congratulations to his competitors! If you look closely at the True Sport banner, you will see Jordan's signature in the very middle of the True Sport symbol. Jordan, thank you for being a leader in putting True Sport Principles into action! True Sport has produced a short video, " The Heart of True Sport ". At the heart of True Sport is a simple idea – good sport can make a great difference. Stream this 90 second video montage, a visual representation of the True Sport Principles. What difference will you make? On April 8, 2018, the Alberta Rope Skipping Foundation announced its first bursary recipients! The Alberta Rope Skipping Foundations’s vision is that Rope Skippers at all stages of development are supported to continue their pursuit of personal excellence. For more information about the Alberta Rope Skipping Foundation, or to become a member, contact albertaropeskippingfoundation@gmail.com . Congratulations are extended to all bursary recipients! Helping sport organizations respond to the new government target to achieve gender parity in sport by 2035, Gretchen Kerr discusses the role of sport administrators in advancing women leaders through mentorship. Building on heightened awareness about athlete safety, Thomas Hall argues it’s simply good risk management to have a plan of action for concussions. Continuing the conversation about positive parenting in sport, Katherine Tamminen shares findings and recommendations for the “car ride home”. As Canada considers bids for the 2026 Winter Olympic and Paralympic Games and the 2030 Commonwealth Games, Marijke Taks considers how to maximize the positive outcomes from sport event hosting. Examining the business case for social responsibility activities, Katie Misener provides tips for community sport organizations to develop successful initiatives. To review all of this issue’s articles click here .